I went to my first summer sailing school when I was six. My father sailed for the national team. He showed us the sport and he taught and inspired us. After the Optimist I continued sailing in the Laser 4.7, and then you just continue… (Radial, Standard). I never really preferred sailing with another person in the same boat. I could only imagine my brother as my helm or crew. The Laser looks like a simple boat and that is what I like about it: it is only the sailors and their performance that make the difference. 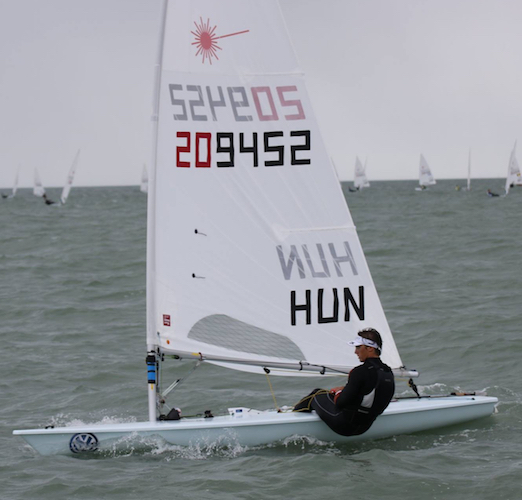 In 2013 you finished 2nd at the Laser 4.7 Youth World Championships (and were the highest finisher in the Under-16 group), which took place in Hungary on Lake Balaton. Was this your first World Championship appearance? Yes, it meant a lot to me. I knew that I could finish in the top ten and there was a chance to win a medal if I stayed focused. I was seventh before going into the last day. I remember we had two races in extremely shifty conditions. I managed to finish both races within the top ten which put me in the silver-medal position. How long had you been sailing the Laser 4.7 at this time? I started sailing the Laser 4.7 in 2012, this means like one and a half years. 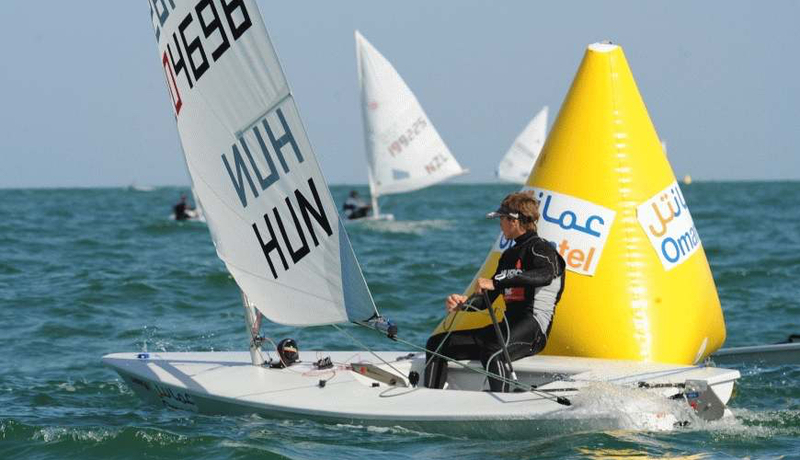 Later that year, you finished 5th at the Radial Youth World Championships and then 5th again the following year (2014). Interestingly, your brother won the 2013 Radial Youth Boys World Championship. Do you and your brother practice/train together, on and off the water? Yes, basically we do all the sessions together; biking, sailing, and the gym too. Is the competition between the two of you pretty intense on the water? There is some healthy competition between us, of course. But also, we often discuss a lot about sailing which helps both of us to improve. 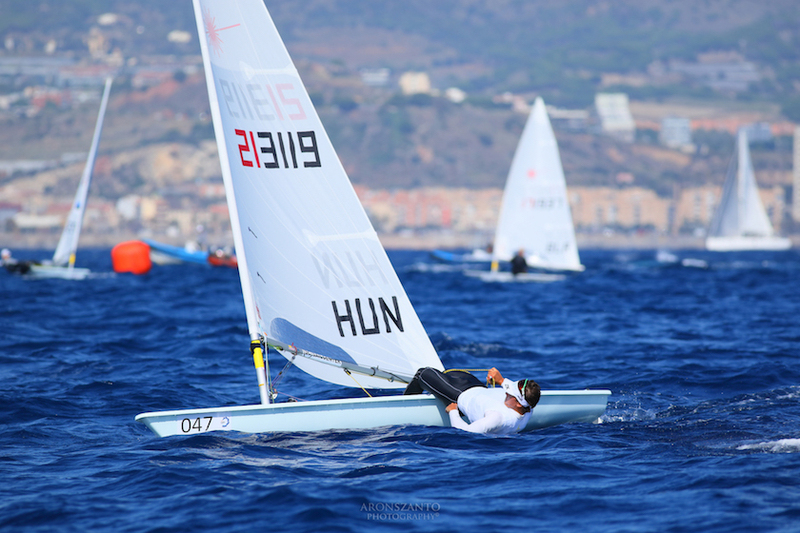 In 2016 you won the Laser Standard Under-21 World Championship, just ahead (3 points) of Joel Rodriguez of Spain. The following year, Joel won the Championship over you on a tiebreaker. Did you feel something of a rivalry against him specifically? Or did you just regard him as any other competitor on the water? We both wanted to have at least one extra race at each of the Worlds. 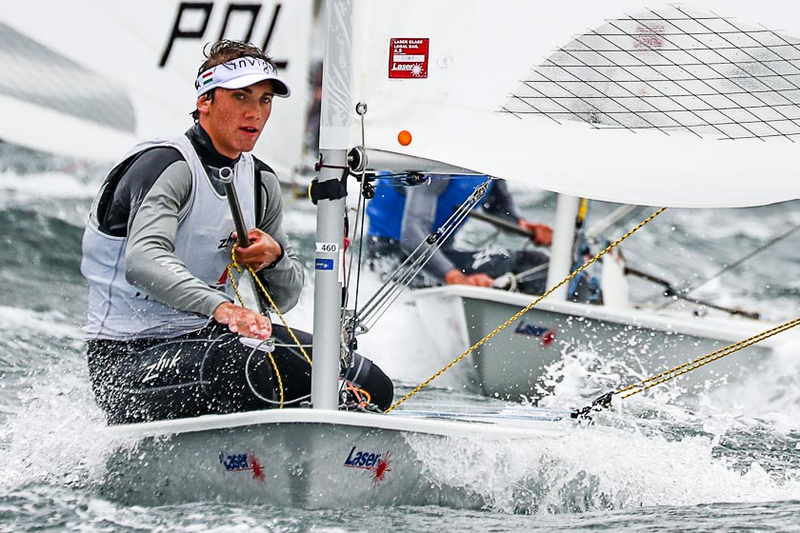 In Kiel, Joel did not have an opportunity to fight for the gold because there was no racing on the last day due to lack of wind. In Nieuwpoort, we finished the last day earlier and there was no third race that took my chance away. He is a skillful sailor and deserved his win the last year. Going from the Under-21 to the Standard Men’s open competition, the field is obviously much deeper and much stronger. What is your experience of the challenge of that transition (and going from the front of the fleet to the middle of the fleet)? Sailing in the senior Standard fleet meant a huge change. The fleet is top quality and you cannot afford mistakes as before. The close and intense racing in the Standard fleet is much more fun and challenging for me. What do you feel it will take to move yourself up toward the front of the Laser fleet? Do you need to become better at boat handling and speed? Becoming physically stronger? Or is it more about gaining experience competing against a tougher fleet and making better decision on the water? As sailing is one of the most complex sports, I will need to improve all of these skills. I will work hard to be one of the top sailors in the fleet. I would like to qualify my country for the Tokyo Olympic Games. Your brother is often a handful of places in front of you in the standings, at least in the World Championships where you both compete. He represented Hungary in the 2016 Olympic games in Rio. Are you aiming to get to Tokyo for the 2020 Olympic games? As he is older he is more experienced than me with those extra years of sailing – this is one advantage over me. We will have trials to decide who has a bigger chance for a better result in 2020. 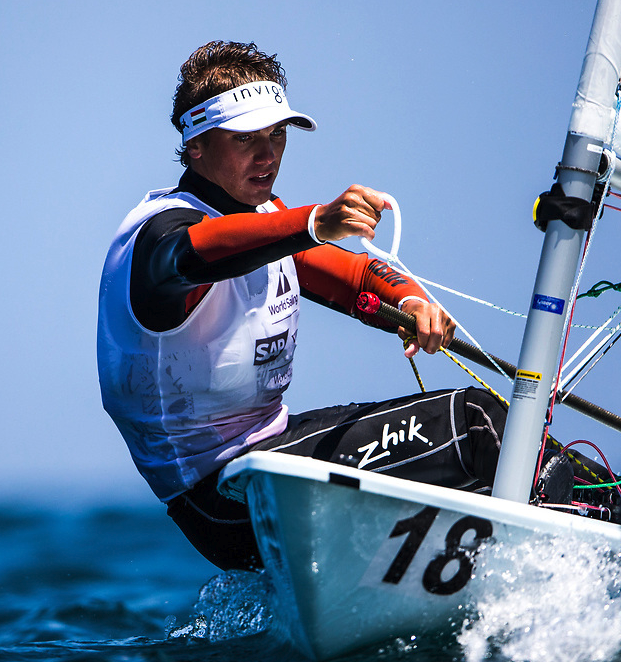 What is it going to take to pass your brother, and be able to represent your country in Olympic sailing? I guess I need to work harder than him. What do you feel are your strengths in the Laser? (boat speed, starting, downwind, etc)? It changes from time to time how I feel. I feel confident during downwinds these days. Do you still get coaching from your father? Or have you transitioned to an independent coach? When did the transition happen (assuming you have a different coach)? We joined Jozo Jakelic’s team at the end of 2016, but my dad still helps us, especially at important regattas. Were there times where it is difficult because you have a relationship where he is your father but another one where he was coaching you (I imagine this could be a challenge depending on personalities)? Or was it always relatively easy (because your father was encouraging and helpful and not pushing you in the “wrong” way)? At the age of a teenager it is hard to take your parents’ advice… Sometimes we had our little fights. But when you are at a race you need to focus 100% on that and follow your coach’s instructions. What are your favorite activities other than sailing? I currently study at the Budapest Business School, the University of Applied Sciences. I would like to graduate there. How difficult is it to balance your sailing and the time needed for school? Are there times when you “need” to sail but you can’t because of a school commitment? Although studying is just as important as sailing, I’d rather skip school than a training. I have managed to pass all my exams so far besides my busy sailing activities. Studying a little every day (also after trainings and gym sessions) helps a lot to keep up with school. 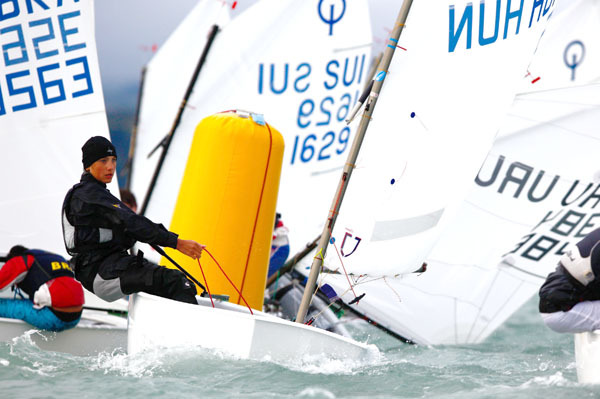 Is there some flexibility in school, where you can work around scheduled sailing events? I have a flexible arrangement at university so that I can manage to fit my study plan into my sailing career. Do you have any particular “rituals” or routines that you do before going out on the water to compete? Something for good luck or to get yourself ready? I like having a coffee in peace before leaving the shore just to chill a bit before the hard work comes.